The only thing that will save the neckline on the City Bound Dress is a scarf as styled in this picture. 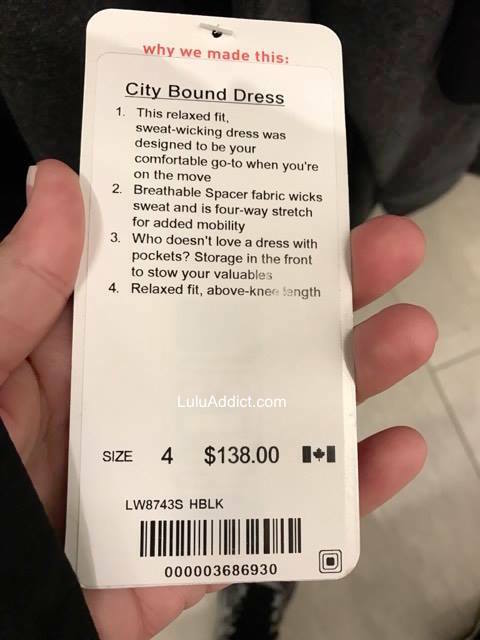 They describe the dress as a relaxed fit but spacer fabric is far from relaxed, it does not take on the shape of the wearer but adds bulk and bulges where non existed before. I am glad to see the All Time Sweatpants with a straight cut hem instead of a cuffed hem so I want to check these out. 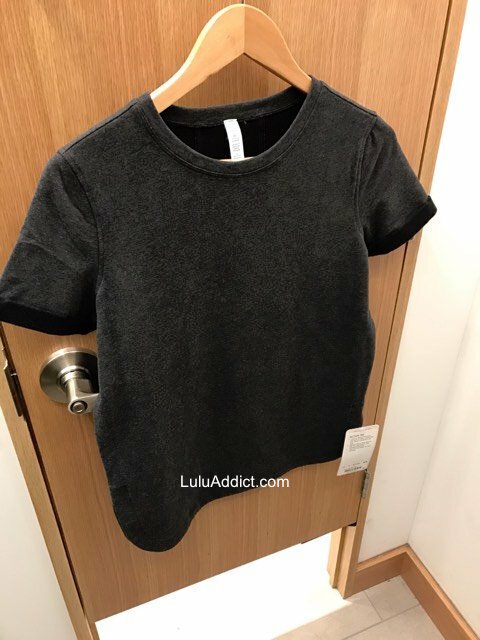 The All Day Tee tag says the length covers the bum so hopefully it's not the usual short boxy styles we have been seeing lately. The mittens look cute and I believe those are reflective dots on them? I have been liking all the Fall colours but this drop is looking really grey and black. This is a load of ugly, ugly stuff. I know it isn't a very original observation to make at this point, but this is a brand that no longer reflects my interests or personality. 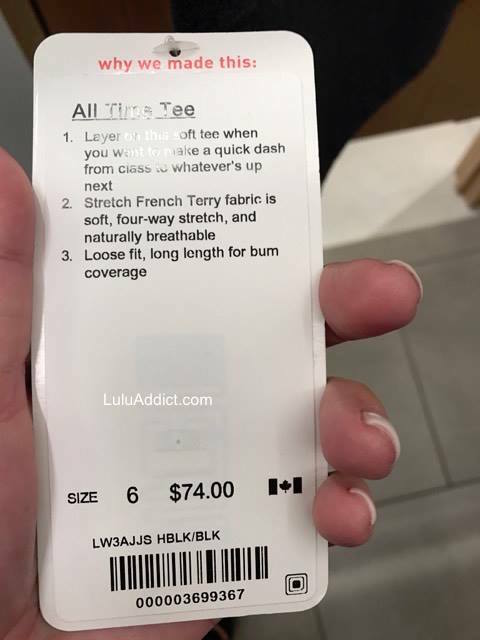 I will have to check out the French terry items in the store. I hope they come in other cheerful colours besides black, like grey and white. 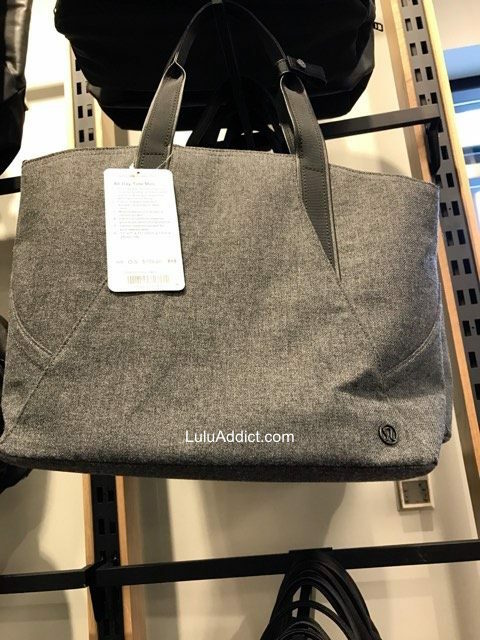 The tote's fabric looks indestructible, but I will not spend $150 with tax on it. @ anon 5:20 am - I agree with you about the space fabric not conforming to the body and adding bulk. I really dislike it. I notice the men's pieces in the fabric on markdown a lot, too, so they don't like it either. 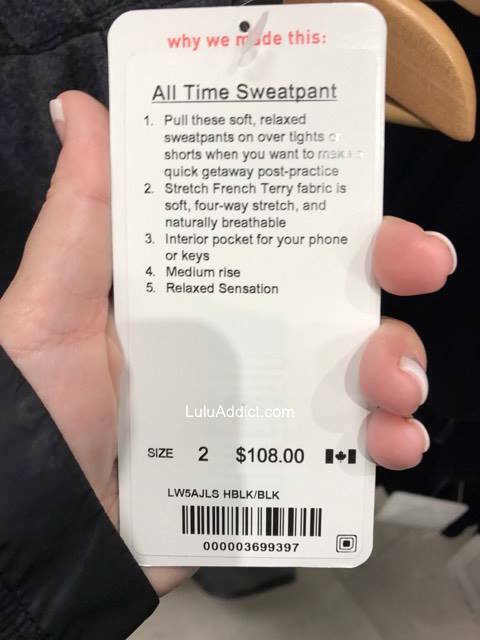 The sweatpants interest me, too, - they're like the old Dance Sweatpants - but I have a few sweats already and it's not like I need another pair of $100+ sweats. @E - you are so right! I'd be more interested if they had some pretty dark teal or alberta lake french terry items. Even a dark navy would be nice. 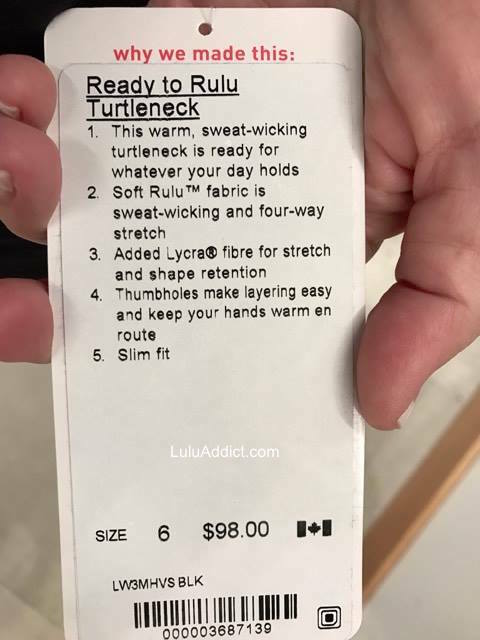 I saw the Rulu turtleneck in store and I thought it was lovely! Very simple but something that could get a lot of wear. I was hesitant to purchase though because I've never bought anything made of Rulu before and I'm curious to know if it pills? I just returned the Down for a Run Vest because the side panels pilled almost instantly and I think these were Rulu but maybe I'm mistaken. Blah. And the prices are ridiculous! This stuff is all generic looking, ugly, cheaply made and way overpriced. The sweatpants look terrible to me. They look like something they would put on people in institutions. They pull on and show no personality or style whatsoever. Maybe they're better in person, but they look extremely grim. The pant version of a hospital gown. The high point for me in this series are the mittens. 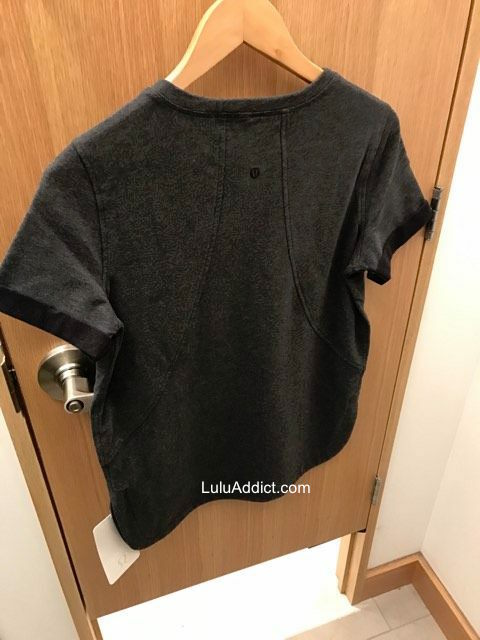 They look cute and more "old Lulu" than anything I've seen in a while. They'll probably be $78 or something, but at least they are attractive. 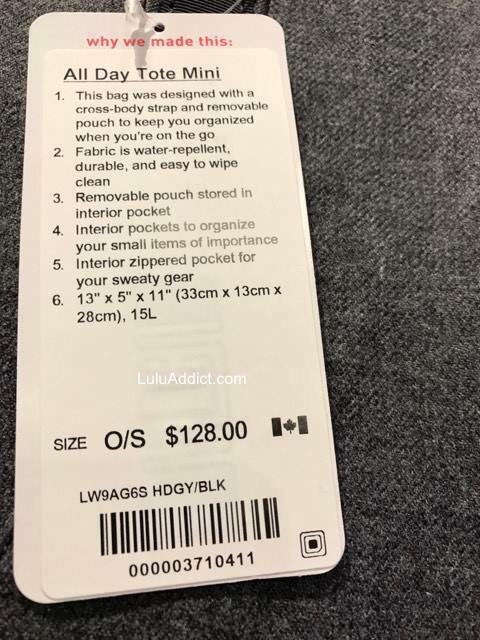 I'll have to check Ready to rulu turtleneck. 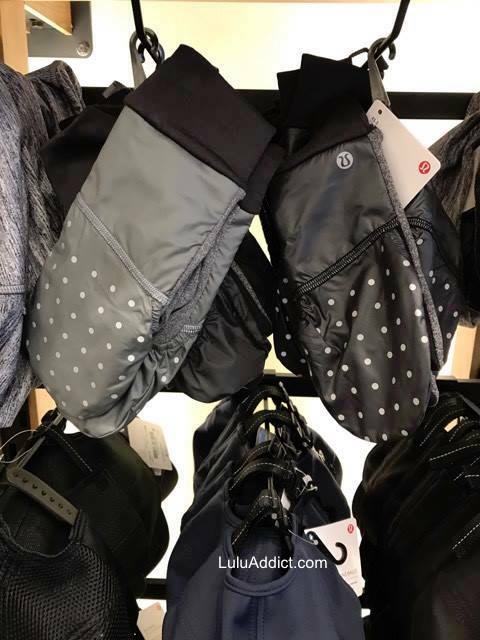 a couple promising basics I suppose- I could definitely go for those mittens..and maybe the rulu turtleneck or that french terry short sleeve...but how many 'basics' do we need? I feel like i own different iterations of this stuff already. omg everything looks shapeless!! I want to say it's like menswear, but then I would be insulting the entire male population. I don't think even they would wear this. It's like something you can buy at Winners/Ross for like 12.99 a piece. I was in my store this morning and saw the Florence Tights but they hadn't put them on the floor yet so I didn't see the price tag or get to check for sheerness. I tried on the All Time Sweatpants and they are a bit snug for my size but I wouldn't size up in these. I l liked them but they didn't have the dark grey in my size. I also tried on the All Time s/s and really liked it but I don't know when I would wear such a warm s/s top? 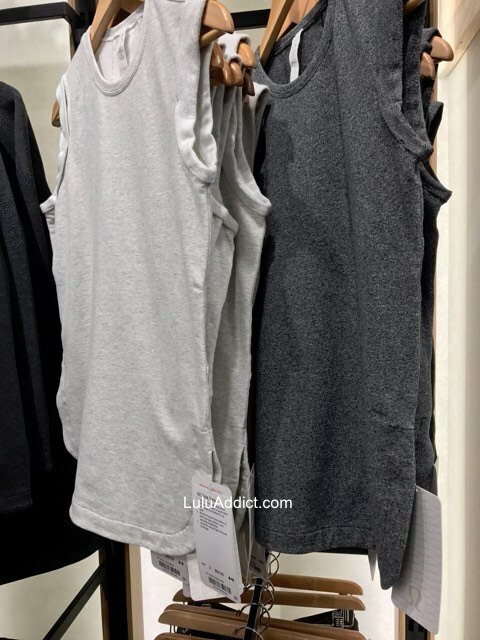 The sleeveless All Time tank was nice as well except that it pulls in front for some strange reason in my tts and again for this top I wouldn't be able to size up as it would be too big. All these pieces were in grey, black and cream, NO COLOURS! I am thinkng of getting the split hoodie on mark down but was holding off until the upload today for something special honestly I don't think it's coming ... 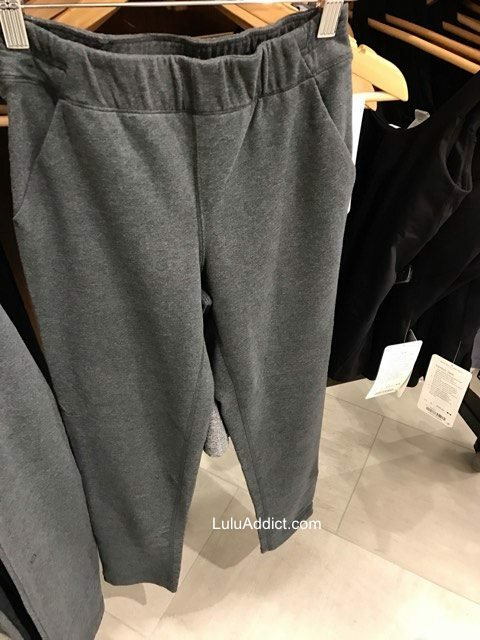 I've been waiting for something special for like 6 months now lol luluaddict does the split hoodie have that plastic sticker lulu symbol on it? Those are the worst but I can forgive for $79 ! 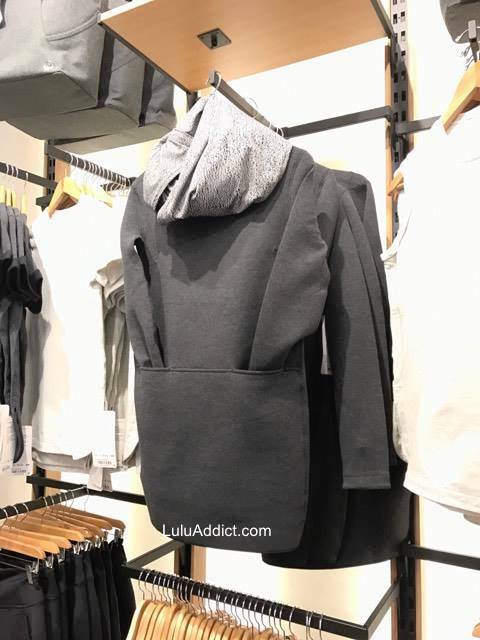 I walked into the Lulu in Mission Viejo today and it was weird. I get that companies change, but this change is just bizarre. I felt like everything looked like it belonged on the Jetsons. WTF is going on? No longer workout clothes. Just a lot of boring spacey looking sh!t. No thanks. @ anon 2:16 pm - They better watch it. My bootcamp friend, who always likes my clothes but doesn't own any lulu yet, told me today she really liked the digital print Dottie Tribe High Times I had on and then said, "I can never find anything I like when I go to the store." Their new merchandising scheme of going dark and drab is killing them. @ anon 2:46 pm - No one has the florence tights. I think the rumors they got pulled are true. 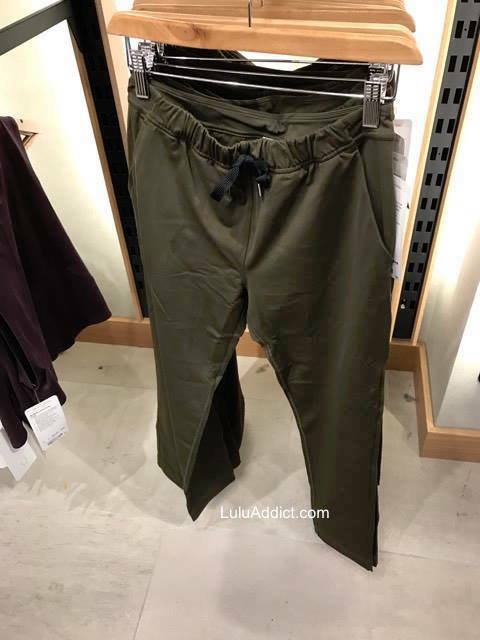 @ anon 2:46 pm - OOps - I just saw a try on photo of the Florence pants. They're out in British Columbia so I guess they're finally hitting the stores.